In 1936 the Aéronautique Militaire took possession of a field with an area of 25 hectares located at a place called "Le Culot". This was where Beauvechain airbase emerged, but from May 10th, 1940, the field was under attack and being evacuated. German Forces installed themselves and under pressure and the advance of the Allies, the Luftwaffe evacuated the premises in October 1944 and aircraft from the USAF took over the airfield. After the war, in 1946 (70 years ago), the airfield saw the arrival of 22 Spitfire LF.XVI wearing the marking of the 349 and 350 Squadron, originated within the RAF during the war. Those two prestigious squadrons incorporated in the 160 Wing had taken off some minutes before from the airbase at Fasberg (Germany) to rejoin the Belgian soil. And so, Beauvechain airbase was born. In 1947, a third squadron rejoined Beauvechain, the 10th Night Fighter Squadron. February 1948 saw the disappearing of the 160 Wing to become the 1st Fighter Wing and 1948 welcomed also the arrival of a new squadron, the 4th Daylight Fighter Squadron. 1951 was marked by the installation of the 11th Night Fighter Squadron equipped with Mosquito NF-30. Activity is high and in 1955 the base is renamed Base Charles Roman, a tribute to this pilot of the 11th Squadron who gave his life in ordered aerial service. The cover of the book edited for this occasion. A splendid present for all the guest of the day. The first jet era started off and the Wing was being equipped with Gloster Meteor F.4, followed by the F.8 and Meteor NF-11 for the Night Fighters. 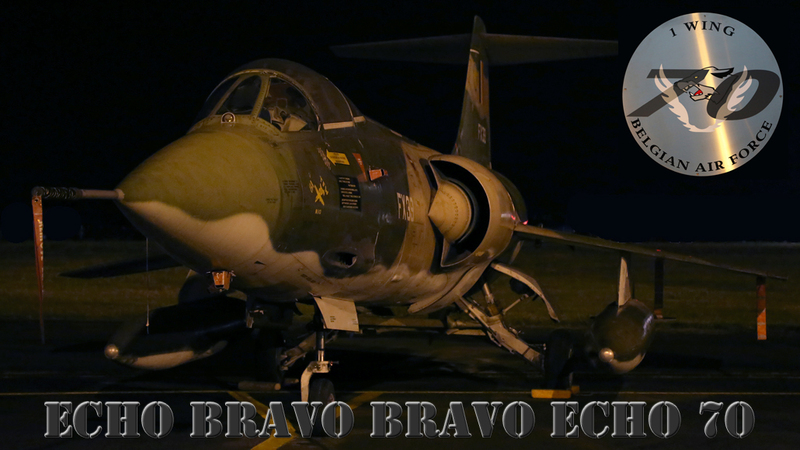 In 1957 the Hawker Hunter made his appearance with the F.4 and F.6 models to fly through the skies of Beauvechain. The Canadian CF-100 Canuck was chosen to replace the Hawker Hunter in 1958 and the Wing was also renamed 1st All Weather Fighter Wing. The 11th Squadron was disbanded in 1960 and it was not until 1962 when the 42nd Squadron with their RF-84F took over the premises of the 11th. In 1964 the Wing turned towards modernity with the Lockheed F-104G Starfighter aircraft, which flew some beautiful hours with the 349 and 350 Squadrons. The first F-16 landed in January 1979 and the necessary conversion gave birth to a new unit: the Operational Conversion Unit (O.C.U.). On March 04, 1996, the 1st Fighter Wing was disbanded and sees the arrival of the Siai-Marchetti SF.260 coming from Goetsenhoven airbase and the Alpha Jets who left Brustem. Bierset said goodbye to the Agusta A109 in September 2010 and the helicopters were relocated at Beauvechain. In July 2013 the first NH-90 TTH arrived at Beauvechain and became the mount of the 18th Squadron whereas the Agusta A109 formed the backbone of the 17th Squadron. The independence of Koksijde airbase ceased in June 2014 and the 40th Squadron was administratively incorporated within the 1st Wing at Beauvechain. 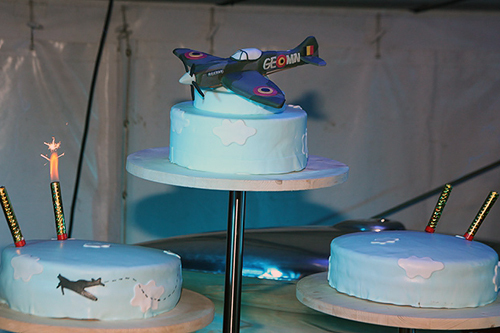 And so the circle came around and it is with great pride the personal of the airbase celebrated this 70th anniversary. 1946 - 2016... Had to be celebrated accordingly and so it was done during a festive afternoon brilliantly organized I may say so... and I may, I was there! Guests started to attend in numbers form 15 hours on to participate in the various events foreseen during this great day. Once on the premises and after having received the magnificent souvenir it was, for most of the former personal of the Wing to gather with old buddies who were not seen again for a long time and re-emerge those long forgotten memories. On with the formal part: the military ceremony. 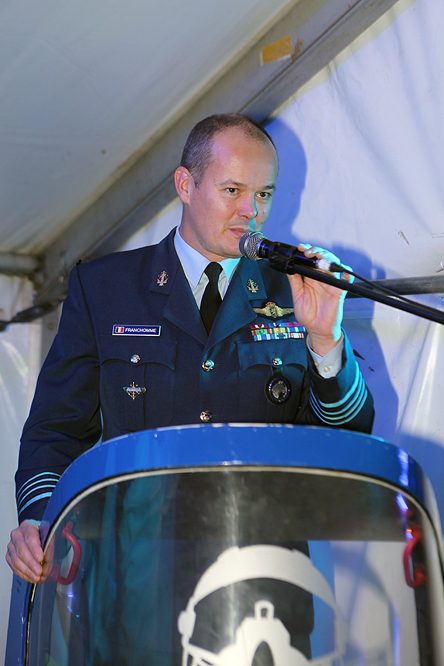 After the arrival of the national flag, General Major Aviator Frederik VANSINA, Belgian Air Component Commander, took the stand and remembered all of us of this Air Force anniversary and gave a brilliant overview of these 70 years at Beauvechain airbase. To conclude some fly-by's were programmed but due to the really bad weather, there were only two passes of F-16, much to the deception of General VANSINA who had hoped to enlighten the event with a large aerial panel. But other activities were also foreseen. The inauguration of the roving exhibit reflecting on the 70 years of the Air Force wandering through the history for this Air Force we all greatly support. The center point was taken by a MEDEVAC Agusta A109 and an exhibit by flight helmet collectors. It was just great to see the evolution of the pilot's equipment throughout the years. The "Red devils" were preparing next, but sadly, once on taxi, our "Red Devils" had to cancel their display as the cloud base was too low and the horizontal visibility had declined more. 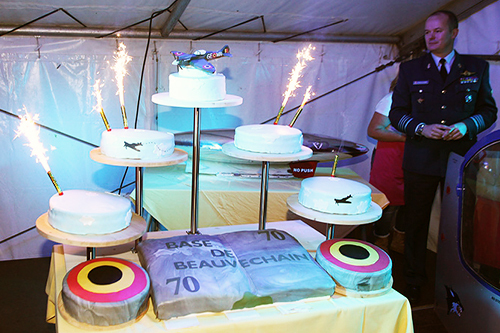 The Base Commander of Beauvechain, Colonel Aviator Georges FRANCHOMME, inaugurated a memorial of this anniversary: a wing of an F-104G adorned with the logo of the 70th anniversary of the base. Following this, the host of the day invited all the guests to join him at the Golden Falcon Museum for a "walking dinner" in a big marquee. A very pleasant dinner, allowing us to come across some good old friends and acquaintances again tasting the delightful dishes and enjoying a drink. During the evening, Colonel Franchomme took the stand again to present the anniversary cake of the 1st Wing and the prize reserved to the winner of the prize draw. In short, it was a successful anniversary celebration with a homely and friendly atmosphere even if the weather decided to boycott this event. The members of SBAP who were present, wishes, by these few lines, to thank General Frederik VANSINA, Colonel Georges FRANCHOMME and all the military personnel being or not from Beauvechain airbase for their friendly invitation and an unforgettable day. And as said during the various speeches: long live the Air Force and long live the 1st Wing! 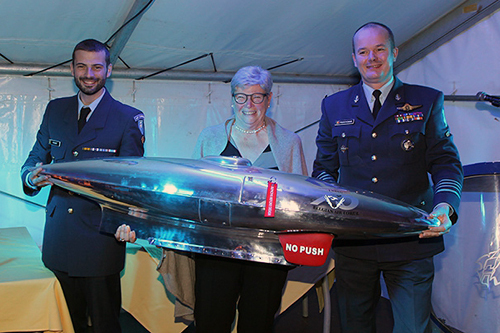 This page is dedicated to Mrs Marie-Jeanne Hody (Widow of Jacques Boulard) founder of the BAFA (Belgian Air Force Association) and Co-founder of the MPA (Mirage Pilot Association) who left is loved aviation world on November 3rd to join the angels.